Exploring the pious beauty of Varanasi shall be a mind-blowing experience for each visitor. It is a stunning holy city on the banks of River Ganges located in the North Indian state of Uttar Pradesh. 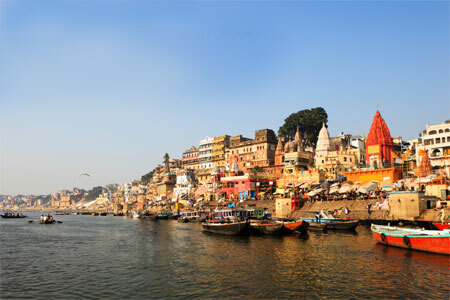 Also known as Kashi or Banaras, Varanasi is one of the most revered and popular pilgrim destinations in India. Hindu devotees from across the globe visit this holy site to explore its opulence and grandeur. They flocked to this destination on the banks of River Ganga as it is a paramount worship place for them. Plan a trip to Varanasi to get darshan of the renowned Vishwanath Temple and explore the nearby attractions through Colourful Indian Holidays – Top India Tour Operator. 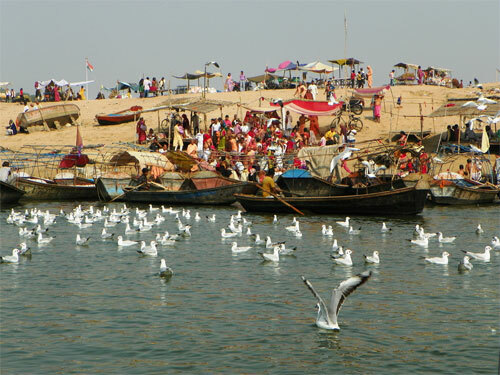 Varanasi is one of the most popular tourist destinations in India because of its unique culture and heritage. This holy site is among the oldest cities in the world and the religious capital of India. 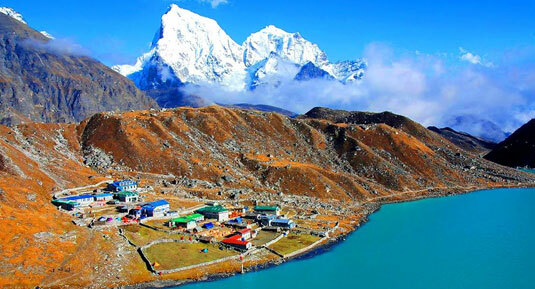 This revered destination is believed to be built by Lord Shiva. This divine place is also famous as the ‘city of Lights’. Varanasi draws many travelers with its beautiful temples. Many tourists from different parts of the world visit it in order to experience the richness and age-old practices of Hinduism. Choose an attractive package from us if you wish to visit the popular tourist attractions in Varanasi and indulge in some thrilling activities to make your trip to this holy site an unforgettable travel experience. Being a popular pilgrim center for Hinduism, temples are the main attraction of Varanasi. People perform rituals and religious activities at the Ganga Ghats. Here are the must-visit tourist attractions in this holy city. Kashi Vishwanath Temple is a major tourist site in Varanasi that attracts travelers with its magnificence and splendor. Dedicated to Lord Shiva, this beautiful temple is a favorite pilgrim center for followers of Hinduism. It is believed to be built more than 1000 years ago and destroyed in 1669 due to the invasions of Mughal Emperor Aurangzeb. Maharani Ahalya Bai Holkar of Indore rebuilt it in 1778. Maharaja Ranjit Singh of Punjab contributed 1000 kg of gold in 1839 for plating the domes of the temples. Vishwanath Temple is also known as the Golden Temple because of its golden spires. This temple enshrines one of the 12 Jyotirlingas of Lord Shiva and devotees believe that watching the jyotirlinga inside the temple shall be a soul-purifying experience. 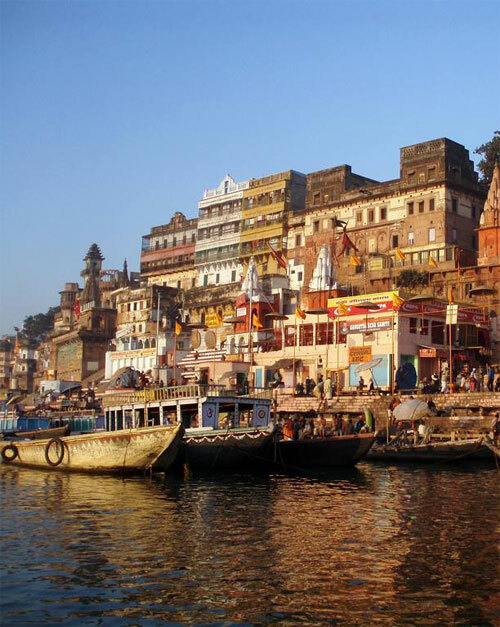 Book Golden Triangle With Varanasi Tour to dig into this spiritual city of India. The New Vishwanath temple is another attraction in Varanasi which fascinates travelers with stunning architecture. 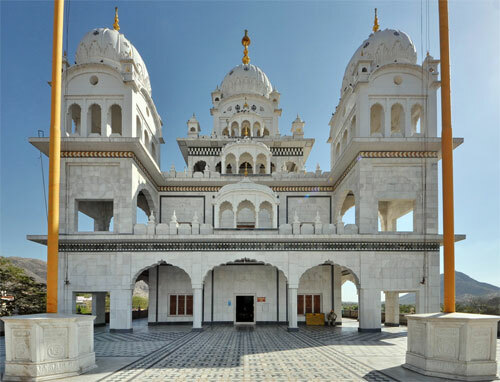 Also known as Birla Temple, it is made up of white marbles. It is part of a temple complex in the premises of Banaras Hindu University (BHU). The New Vishwanath temple locates in the main floor of this complex. Text from Gita adorns the walls of this temple. 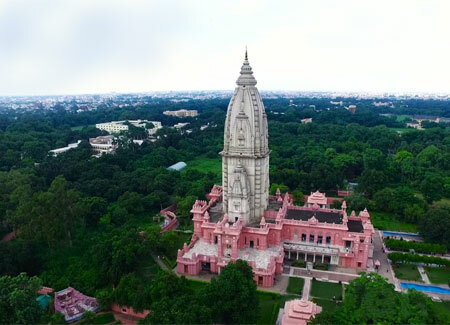 You can see seven temples in this complex including the shrines of Lakshmi Narayan and Goddess Durga. 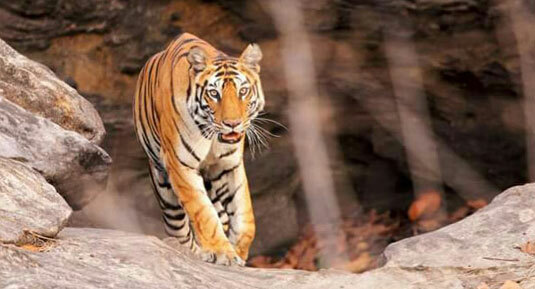 Give yourself a spiritual taste with our Golden Triangle With Khajuraho And Varanasi Tour. River Ganges is a favorite pilgrim spot for the believers of Hinduism as they have the faith that taking a dip in this holy river can wash away their sins. 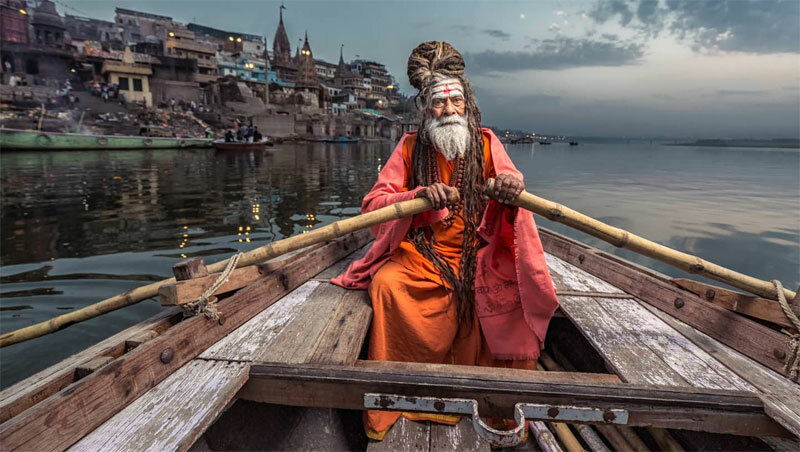 Many followers of this religion gather on the banks of River Ganges especially during the Kumbh Mela to take a dip in the chilly waters of it during this auspicious time in order to wash their sins. 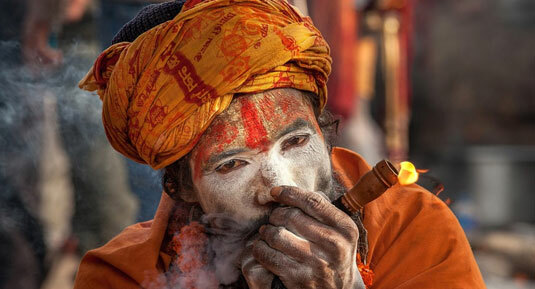 Kumbh Mela is a massive religious gathering in the world. Travelers to Varanasi prefer to include the River Ganges in their travel itinerary even if they do not want to take a dip in its holy river. It shall be interesting for them to take a walk along its banks for watching spectacular views. They can enjoy marvelous views if they plan a boat ride through the river especially during the sunrise or sunset. Manikarnika Ghat is a must-visit place during your trip to Varanasi. This holy Ghat is famous as continuous cremation taking place here. Travelers love to visit this destination as they can view life from a different perspective after visiting this large cremation ground. People belonging to the Hindu religion wish to cremate their dead body here because of their belief that their soul may get salvation by cremating their bodies here. Many people reach this Ghat in their old age as they believe that death may be painless if it occurs at Manikarnika Ghat. Add this place to your itinerary to Varanasi for a unique travel experience. Built by a King of Nepal, the beautiful Kathwala Temple draws travelers with its eye-catching woodwork and exquisite architecture. 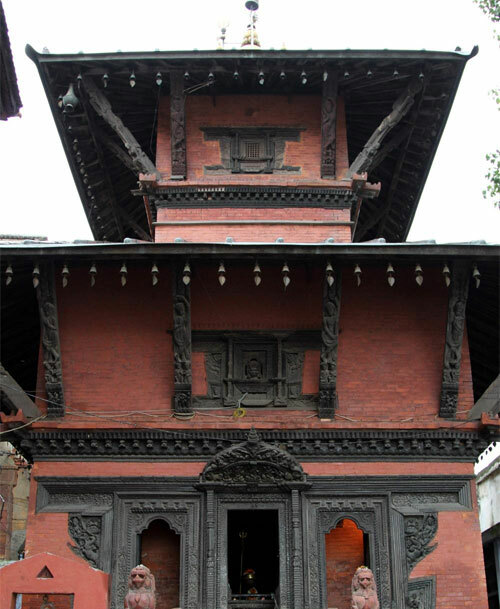 Since it is believed to be built by a Nepali King, this temple is also known as Nepali Temple. Each visitor to the temple gets fascinated by the intricate wood carvings of this temple. Located in the Lalita Ghat, this temple is a fine example of the architectural brilliance and taste of the rulers of Nepal. 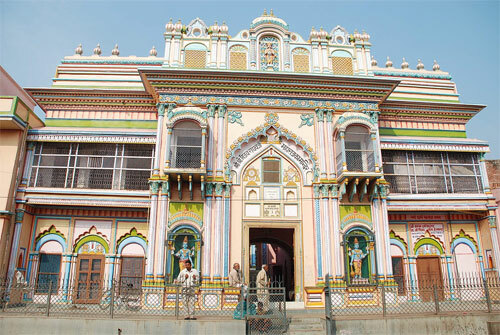 Tulsi Manas is a popular temple in Varanasi with unique Shikhara style architecture. It named after the famous saint-poet Tulsi Das. Built in 1964, this temple locates next to the beautiful Durga temple. The walls of this white marble temple adorn with text from the Ramcharitramanas written by Tulsi Das. You can include this temple also in your travel itinerary to Varanasi. 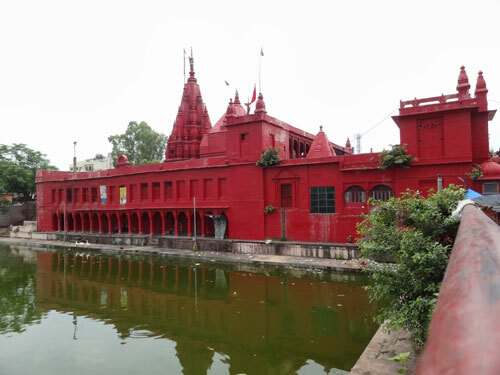 Located by the River Assi, the Sankat Mochan Hanuman Temple is a great attraction in Varanasi. 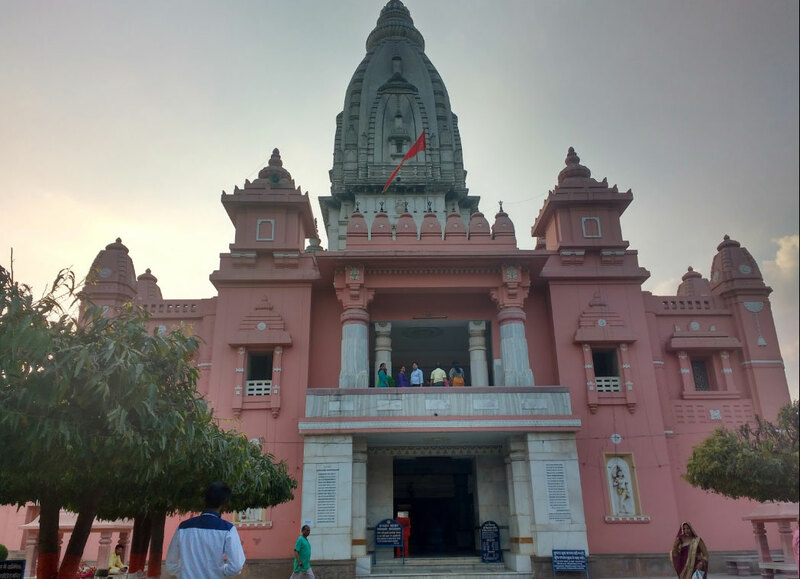 This charming temple dedicates to Lord Rama and Lord Hanuman is built by the famous freedom fighter, Pandit Madan Mohan Malviya in the 1900s. Travelers to Varanasi visit this temple to offer prayers and laddoos to Lord Hanuman. Beware of the monkeys around as they may steal the fruits and laddoos that you carry on your way to the temple. Dedicated to goddess Durga, the Durga temple is a must-visit temple in Varanasi. It is also known as Monkey temple because of the presence of a large number of monkeys. A Bengali Maharani built this temple in the 18th century in a rectangular pond called Durga Kund. The multi-tiered shikhara is the prime attraction of this temple. Visit the Monkey Temple also during your trip to the holy city of Varanasi. 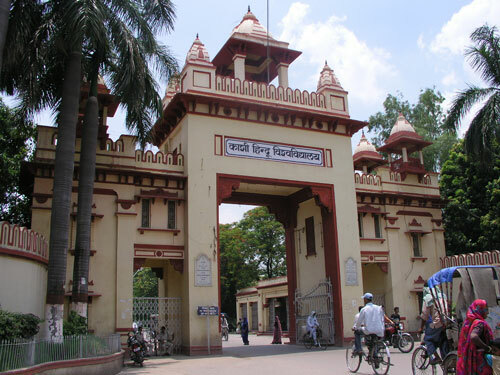 Banaras Hindu University is another major attraction in Varanasi. Spread over an area of 1350 acres, it is among the largest universities in the world. Founded by Pandit Mohan Malviya in the year 1916, this university fascinates travelers with its Indo-Gothic architecture and extensive lawns. Almost 30,000 students reside in its campus that makes it one of the largest residential universities in the world. Make your trip to Varanasi a mind-blowing travel experience by adding Banaras Hindu University in your travel itinerary. Ramnagar Fort is one of the most-visited tourist attractions in the holy city of Varanasi. Overlooks the beautiful banks of River Ganges, this fort is almost 14 kilometers away from this pilgrim destination. Built by Maharaja Balwant Singh in the 18th century, the highlight of Ramnagar Fort is its intricate artwork. It has been the residence of royals of Varanasi for more than 400 years. Visitors can still feel the royal charm at this place. 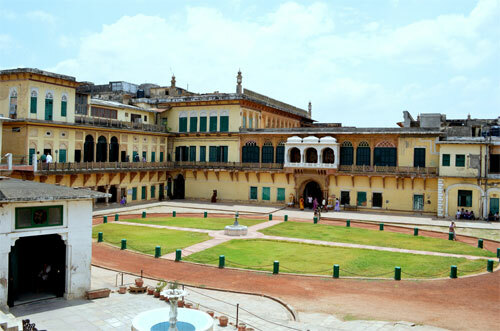 They can watch several regal remnants at the Durbar Hall turned museum of this fort such as photographs of kings and queens, ornamented swords, and royal jewelry. Alamgir Mosque is a beautiful piece of architecture located on the bank of River Ganges at the Panchganga Ghat. This mosque is a significant tourist attraction in the famous religious city of Varanasi. It shall be interesting to watch this stunning mosque which is the right blend of Mughal and Hindu architectural styles. Travelers can enjoy picturesque views also by visiting this mosque. 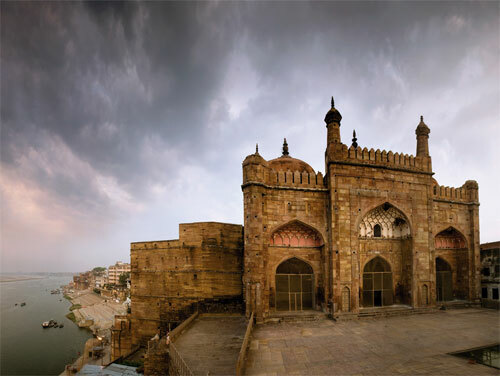 Alamgir Mosque is truly a stunning piece of architecture worth visiting during your Varanasi holidays. There are more than 100 Ghats in Varanasi and most of them have special importance in Hindu Mythology. Ghats are the places on the banks of rivers with steps that lead down to the water. Enjoying a walk along the ghats in this holy city shall be a fascinating experience. Manikarnika and Harishchandra ghats are mainly for cremation purposes. But people use other ghats in Varanasi for puja rituals and bathing. The River Ganges meets the River Assi at the Assi Ghat while Darbhanga Ghat is a favorite spot for photographers. Scindhia Ghat fascinates travelers with its peaceful and picturesque ambiance. Some of the other popular ghats in this holy city include the Dasaswamedh Ghat, Manmandir Ghat, Shivala Ghat, Tulsi Ghat, Ahilyabai Ghat, Darbhanga Ghat, Causatthi Ghat, Rana Mahal Ghat and Lalita Ghat. 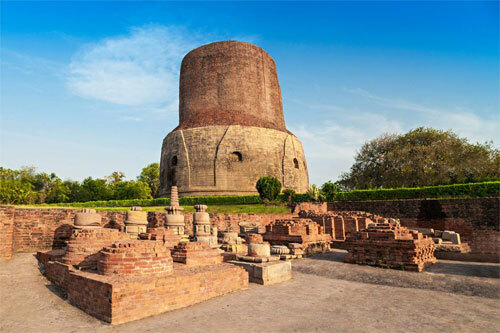 Sarnath is a spiritual town located almost 10 kilometers away from Varanasi. It is a popular pilgrim destination for the Buddhists. Once a great learning center, Sarnath had been visited by many famous Chinese travelers like Huien Tsang and Fa-Hien. Lord Buddha visited this place to sermonize Dharmachakra or the Wheel of Law in 528 BC. Archaeological Museum and the Ashoka Lion Capital in polished sandstone are other major attractions in Sarnath. Allahabad is a saintly city located almost 121 kilometers away from Varanasi. Three holy rivers, the Ganga, the Yamuna and the Saraswati meet at this holy city make it a spiritually significant place for Hindus. The city of Allahabad built on the ancient town of Prayag. It is a place blessed with great cultural and historical importance. The largest Hindu gathering, the Maha Kumbh Mela held in this city on the banks of Triveni Sangam. 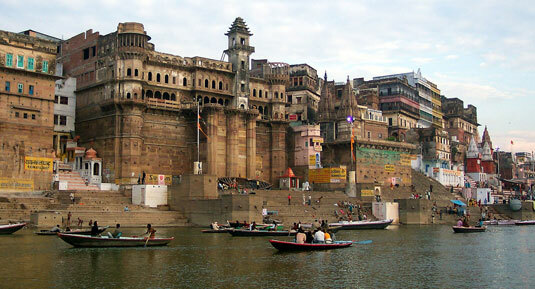 People who visit Varanasi also try to visit Allahabad to explore its beautiful places. Include Ayodhya also in your travel itinerary if you are a Hindu pilgrim loves to explore beautiful temples. It is the birthplace of Lord Rama located on the awe-inspiring banks of River Sarayu. In addition to a large number of temples, one can visit the Jama Masjid and a rose garden by visiting Ayodhya. This destination is almost 205 kilometers away from Varanasi. 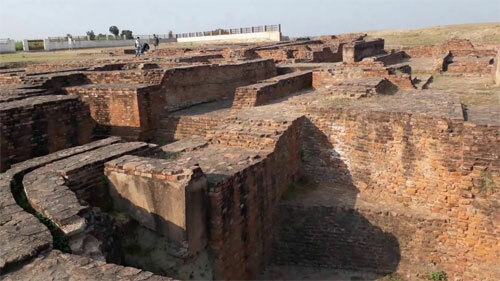 Kausambi is another historically important place located almost 187 kilometers away from the pilgrim city of Varanasi. This city is believed to be built by Pandavas and Lord Buddha visited this place after attaining enlightenment. So, it is also a significant place for Buddhists. Many history buffs also visit this place in addition to Buddhists and travelers. 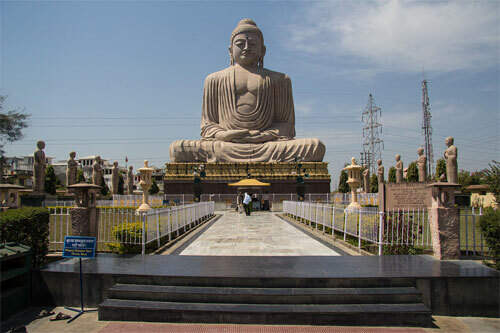 Bodhgaya is another great site for Buddhists located almost 255 kilometers away from Varanasi. It is the place where Lord Buddha attained his enlightenment. Many people from different parts of the world visit this place in order to see the Mahabodhi Temple where Lord Buddha attained enlightenment. An Archaeological Museum is another attraction of this destination. Visitors to this museum can watch ancient stone and bronze images and temple railings belong to the 3rd century. 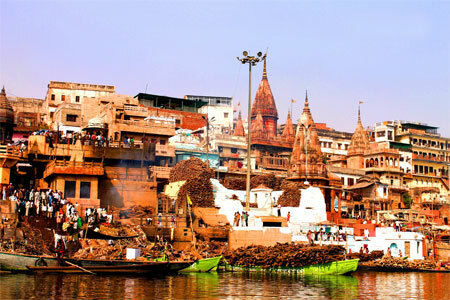 Varanasi is an ideal destination to start your pilgrimage holidays. The serene ghats of this destination are ideal to experience the saintly vibe. Explore the beautiful temples on the banks of River Ganges and other religious attractions through the attractive India tour packages from Colourful Indian Holidays.